Introduction: Register in a hospital in China, describe health conditions to doctors, and recognize different departments in hospitals. 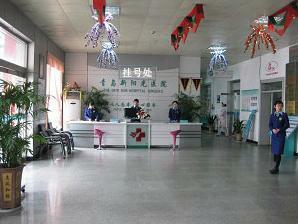 Hello, which (medical) department would you like to register in? I have a cough and a headache. (You should go to the) Department of Internal Medicine. Doctor, I have a sore throat, a cough and a headache. Thirty eight point five degrees centigrade. 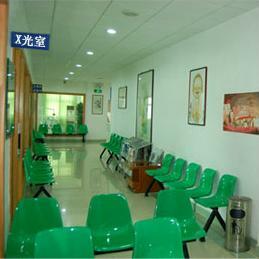 You have a fever and need to take a blood test. Ok. Where is the lab? The doctor explains the situation to the patient. 5. The doctor explains the situation to the patient. 1. Nǐ guà shénme kē? Which (medical) department would you like to register in? 3. Nǐ nǎr bù shūfu? 4. Dàifu, wǒ sǎngzi téng, késou, hái tóu téng. 5. Nǐ fā shāo le, děi yàn xuè. You have a fever and need to take a blood test. 6. Huàyàn shì zài nǎr? 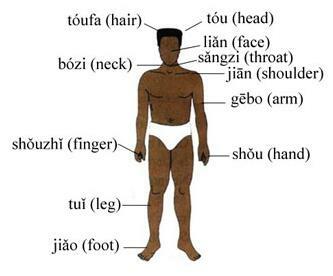 手 (shǒu) hand, 手指 (shǒuzhǐ) finger, 腿 (tuǐ) leg, 脚 (jiǎo) foot. Need to see a doctor? First, make sure that you can describe your symptoms accurately. 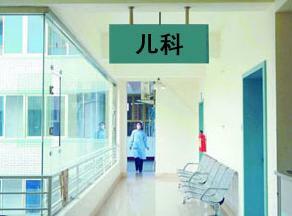 In this lesson, you will learn daily Chinese expressions such as what's bothering you, register (in a hospital), department, cough and doctor.